The Academy Home Goods Small Glass Storage Jar is a fantastic item that does exactly what it says on the tin – or, we suppose, jar! 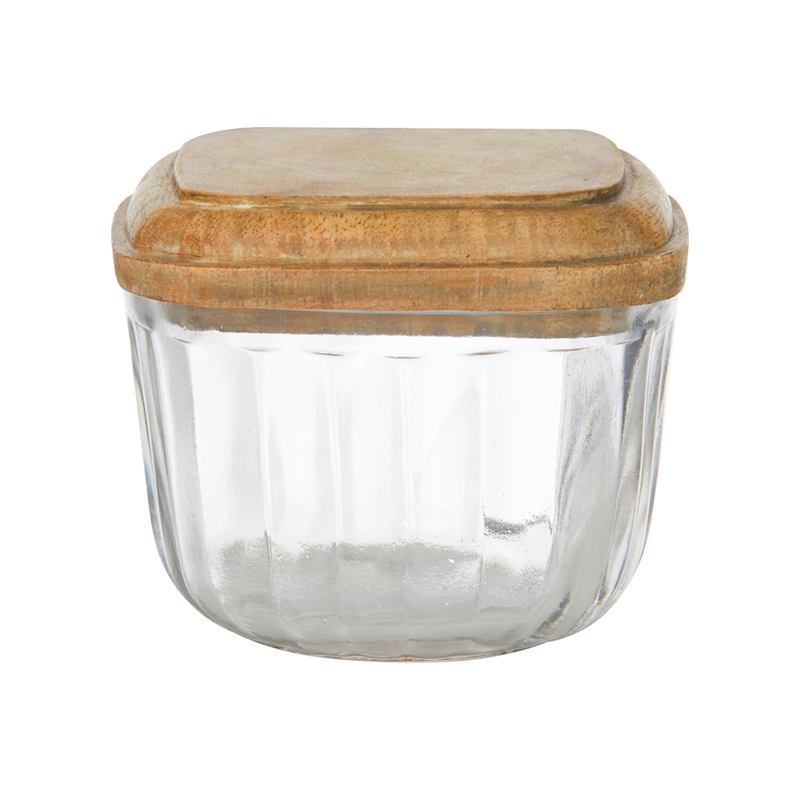 This glass jar has a rustic design, featuring a textured finish and a wooden lid. It’s sure to make a perfect addition to any kitchen, featuring an amble amount of storage space. Snap it up now. Dimensions: 9cm (l) x 7.5cm (h) x 9cm (d).